2015 was a very interesting year. I planned to capitalize on what I learned in 2014 and move forward with the goals I set for 2015. My main desire for 2015 was to focus my year on 2 things intentionality and commitment. Simply put, I wanted to do what I say and remain consistent on the commitments I made. Set a few goals and reach them. I released a course on starting your own business back in 2014 and the course reached over 4,000 users that have viewed the content. So based on everything I learned in 2014 how did this directly effect 2015? I can honestly say though I did not reach all of my goals however, I am genuinely pleased with how the year went. I was able to remain committed but I was not always intentional with my actions, let me show you what I mean. What was my body of work this year? Digital Marketing and website maintenance for the Thriving Frequency Conference in Philadelphia, PA. Created web assets and marketing for a retreat called Refuel. Attended VenturePOP Conference in New Orleans. 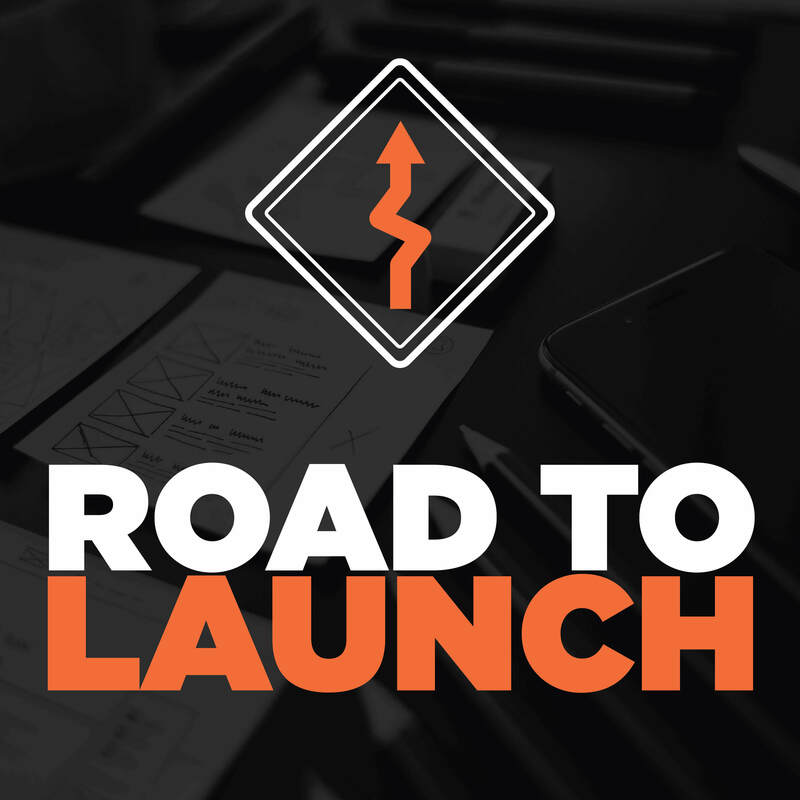 Launched Freelance Jumpstart TV, a video podcast for freelancers and entrepreneurs. I went to 2 conferences and helped to plan 2 conferences. The 2 conferences I went to as an attendee were in the realm of developing my professional life. The first conference I attended was the San Antonio Wordcamp. I enjoyed meeting up with other people who use WordPress in their everyday lives and to grow their business. The cost was only $30 plus travel and I received immense value from conversations with other creatives. Also, some of the speakers at this conference were people I worked with in the past. Witnessing them speak at a conference gave me increased confidence to begin teaching others and getting into public speaking because I have a wealth of information share to as well. 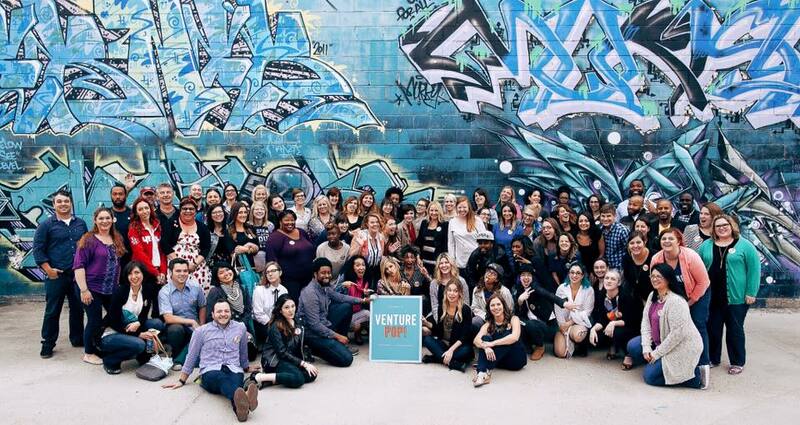 The second conference I attended was the VenturePOP Conference in New Orleans, LA. 2015 was the first year of the conference and I can say with confidence this was my main highlight of 2015. I wrote an entire blog post and review about the conference and I plan to attend it again in 2016. This is a goal that i can honestly say I made strides towards. In the past, I was content with working on my own and doing my own projects. I viewed spending time with others who were not as “serious” as me as something to place on the back-burner. Reaching out and networking with others has reignited my drive to achieve my goals. There are so many people out there who are killing it in their respective fields and I value you knowing them. 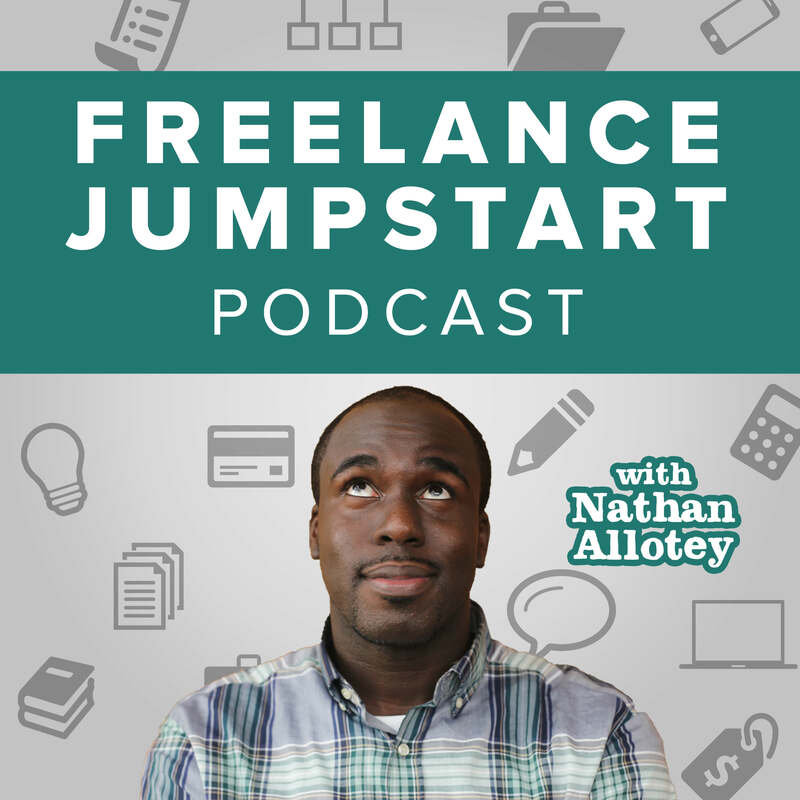 In October 2015, I launched Freelance Jumpstart TV a weekly video podcast about the business of freelance. 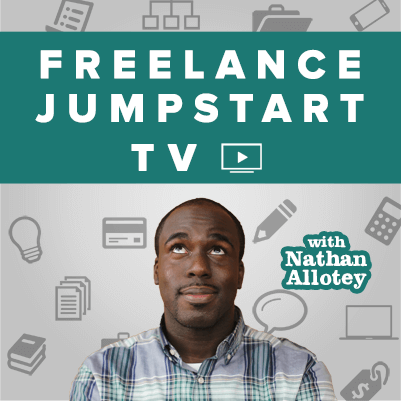 Launching Freelance Jumpstart TV was not in my plans at the beginning of 2015 but based on how things went I am definitely pleased about launching the show. I was able to produce 14 videos available on YouTube and iTunes. I noticed this show is helping me gain momentum and build a following online. Sure there are already blogs and podcasts about freelancing, however, I have not seen many commit to consistently create high-quality video that I’ve seen. What didn’t go well in 2015? I took it upon myself to not take that many clients in 2015. I felt it was a time and a year for me to focus on the direction of my business. Was I going to continue the path of a freelance or an entrepreneur? I evaluated my business, client base, pricing and many other factors and asked myself: “what do I need to do this year in order to take my business to the next level?” The answer was to take a step back now so I can take 3 steps forward. I filed my taxes on time however, the online service I used to submit the taxes did not fully process the payment. In turn, I was charged a late fee. I’m normally thorough when it comes to taxes, but at least, I was able to learn what happens when a payment is not made. am reaching out today as I had not heard from you after we sent out the speaker acceptance email on April 7th. I want to make sure that you still plan to attend so that we can get our schedule up ASAP. WHAT! It turns out that I applied to be a speaker and was accept but since their initial confirmation went into the spam/junk folder I never saw this. I learned a valuable lesson, always check the junk/spam box on a weekly basis. There is tremendous value in building an email list and this is something I have not really emphasized. I will admit I’ve had feelings that I’m bugging people by emailing them. Regardless of that feeling I want to connect with everyone on my email list and I will take a more personal approach to reaching out to subscribers. There are plans to recreate the newsletter subscriber page on my website and offer access to a growing library of resources for those who subscribe to the email list. 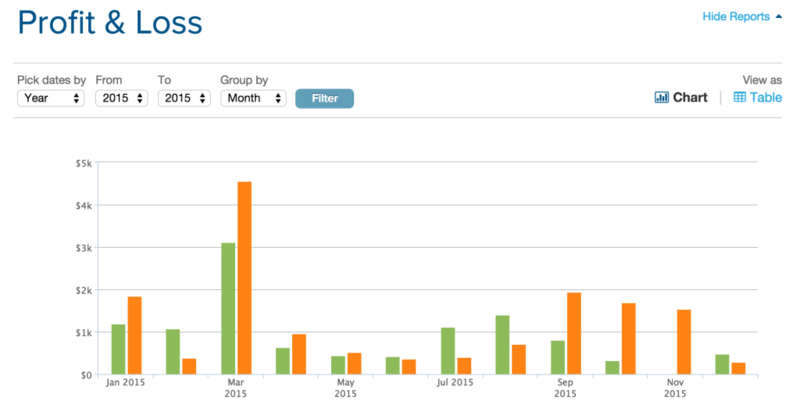 For the first time since I started my business 6 years ago, I actually lost money overall this year.Green is income and orange is expenses. When you do the math I took a loss of $4,180. This has never happened to me before but there is a purpose behind the loss in profit. In the past, to raise my income, I would simply take on more clients. In 2015, I took the approach of investing in myself. This meant that I purposely did not advertise my services and reach out to people looking for clients. I worked on developing my skill set and looked towards the future and ways I can create passive income besides only taking on clients. I learned as much as I could, reading blog posts, taking online courses, online workshops/webinars, ebooks and books and joining online communities. How did I stay afloat? I took a new position as a digital marketing specialist at a fortune 500 company here in Houston, TX. I still had a few clients I worked with throughout the year so overall I did not lose any funds and I was able to pay my bills and not have to worry as I planned for what was to come the next year. What am I working toward in 2016? I anticipate 2016 is going to be a breakout year for me in many ways. In the past, I have always stuck to myself. I was content with client work and building side projects and I didn’t share what I was up to at all. Since I’ve been writing more often and generating content I am creating a wealth of information which will serve as a journal for me but as a resource for others. inPhocus Media is the name of the business in which I offer my web design and digital marketing services. In 2015, I took a step back to redefine as well realign the direction and the focus of the business. For 2016, I will be open to accepting clients however I am looking for clients that are a good match for me and I am a good match for them. Clients must also be willing to work within the process I have defined and my pricing has changed as well. I believe the changes I made will best serve everyone and allow me to work with people who are going to take action based upon the invested they make with me. 2015 was a great beginning of Freelance Jumpstart TV but I want to continue creating more content. This is a very time consuming effort with visuals, graphics, script writing and ensuring the audio is high quality, however, that’s the standard I want to set: high quality. There is tremendous value in building an email list and this is something I have not really emphasized. I will admit I’ve had feelings that I’m bugging people by emailing them. Regardless of that feeling, I want to connect with everyone on my email list and I will take a more personal approach to reaching out to subscribers. I have plans to recreate the newsletter subscriber page on my website and offer access to a growing library of resources for those who subscribe to the email list. 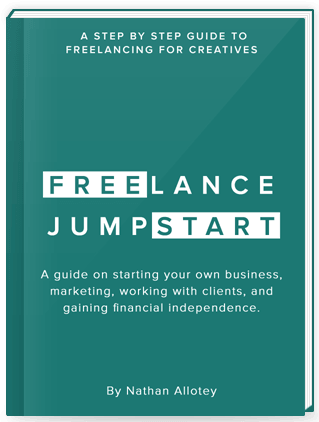 Initially, I had the vision to creative Freelance Jumpstart an ebook that would serve as a step-by-step guide to the business of freelancing. The book was to cover topics such as getting a business set up, marketing, working with clients, setting your pricing rates and other topics. Rather than create a quick book and be “one and done” I wanted to create a resource and place where freelancers can continue to get value other than reading a book. The resource has been expanded to include video, tutorials; interviews, online hangouts and more, which I believe, will turn this from a book to an experience. 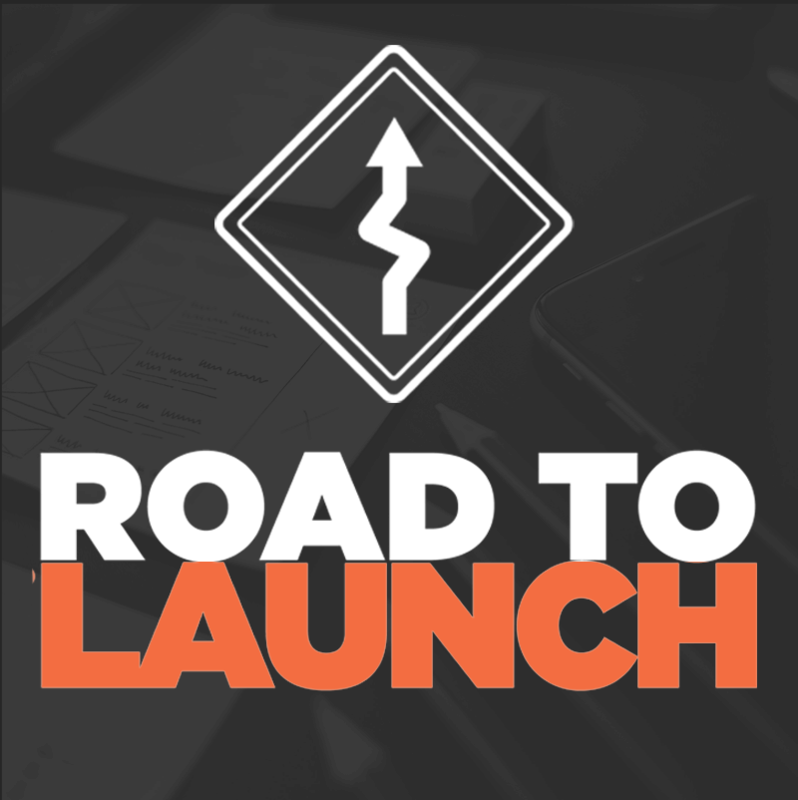 I will launch a new podcast in 2016 called Road to Launch, an inside look at the product building process. There were many things, which hindered the process of finishing my aforementioned book, and it was a whole lot of ridiculousness. With that being said, I realized I was not taking the time to share what was going on behind the scenes. There is just as much as an opportunity to help people by sharing my struggles as there is with producing the product. You can subscribe today and be notified when this launches. This was my year and these are my goals. Let’s keep each other accountable to follow through and finish our goals. What goals do you have for 2016? Contact me and let me know or leave them in the comments below.